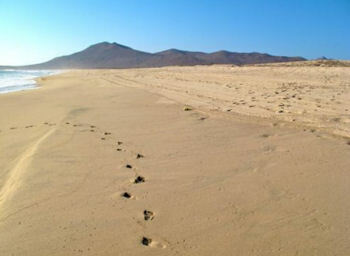 beach town Todos Santos, on the western coast of southern Baja. People say it's an artsy, sophisticated beach town. 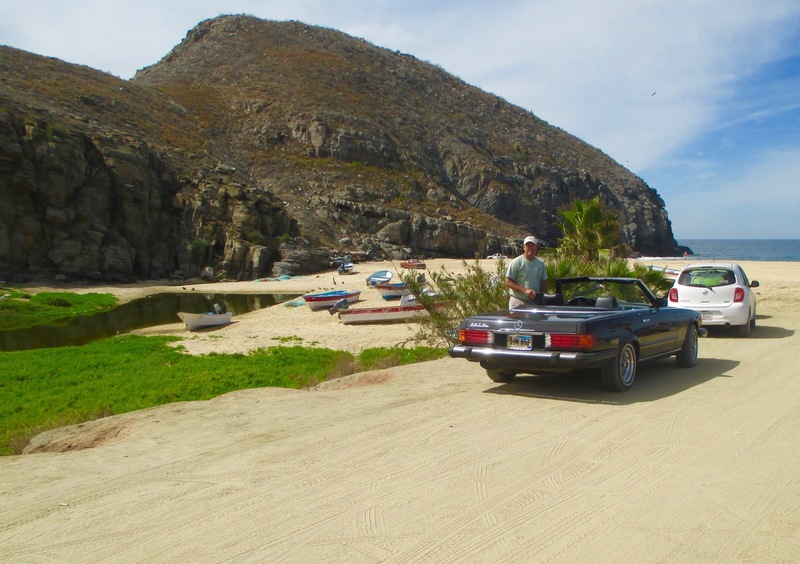 for the day, so off to Todos Santos we went! Nature called about halfway through our journey, so Chris pulled over and I tiptoed out into the desert and picked a nice spot in the shade of a big tumbleweed to take care of business. 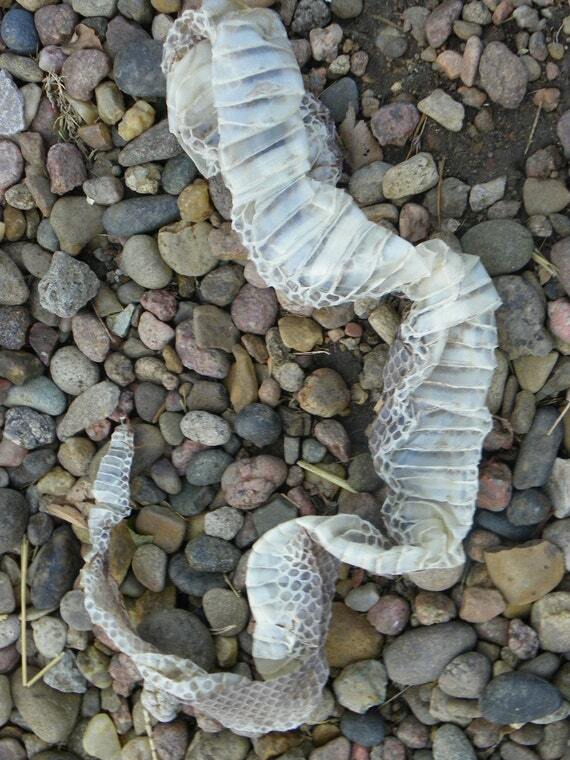 A rattler had very recently shed his skin! Yikes. Cool but kinda scary, considering my vulnerable state of affairs at that exact moment. I frantically looked around for the rattler, newly freed of his encumbrance, but fortunately he had already slithered away. More than a year in Baja and we still haven't had a (live) rattler sighting yet. chose to build their little town of Todos Santos. 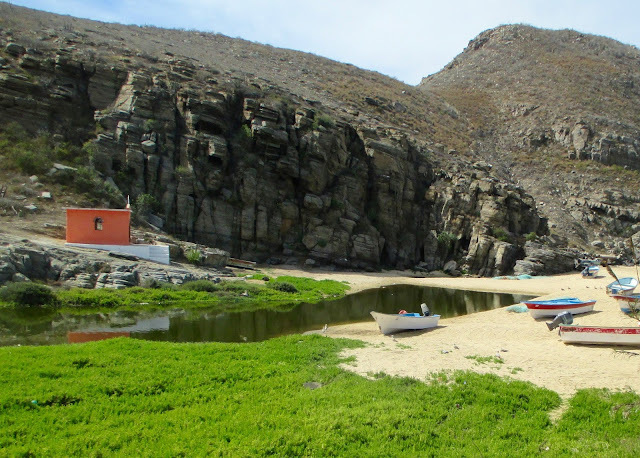 Here in Baja, it's all about the water, baby! to his barbed wire-ensconced exposed heart. 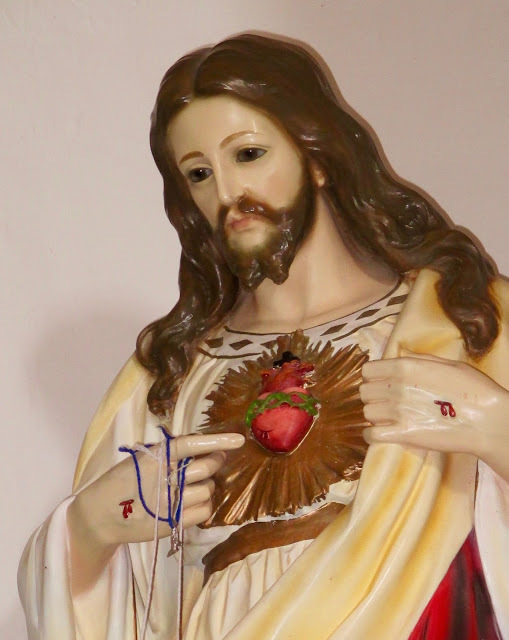 when I see this style of Jesus statue. greatest superhero movie ever, IMHO. he penned the first Ironman comic strip. 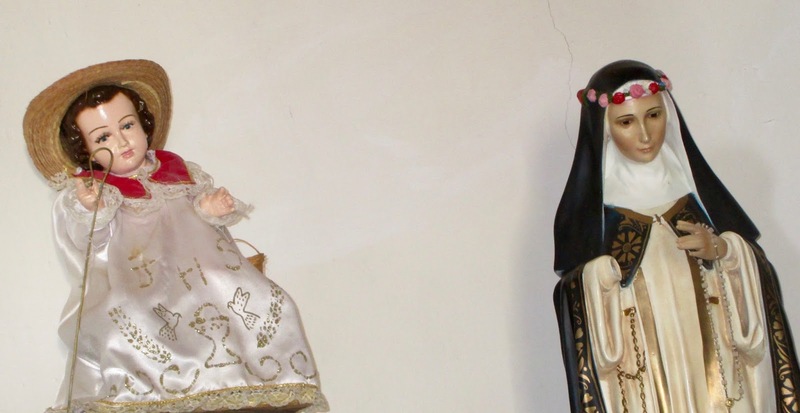 usually by the Mexican women of the village. After visiting the church, it was lunchtime. 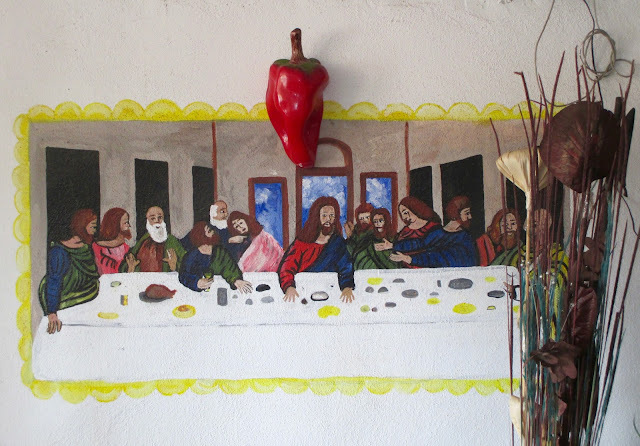 More Catholic-inspired artwork greeted us at the little local taco stand where we ate lunch. This Baja-style version of The Last Supper was painted directly onto the wall of the eatery. life here in Mexico. I'm kinda gonna miss it when we're back in the states. in Mexico with fresh fruit and real cream. 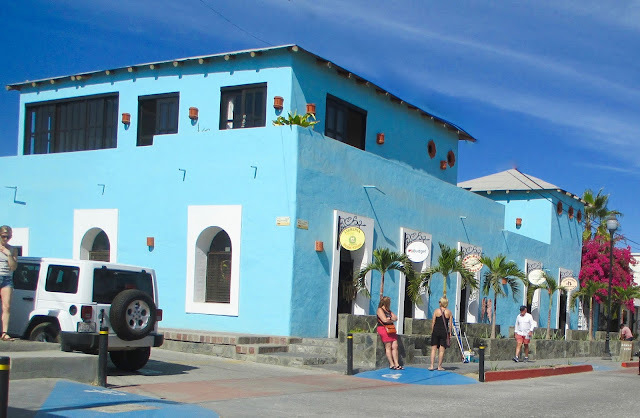 with many art galleries and nice restaurants. 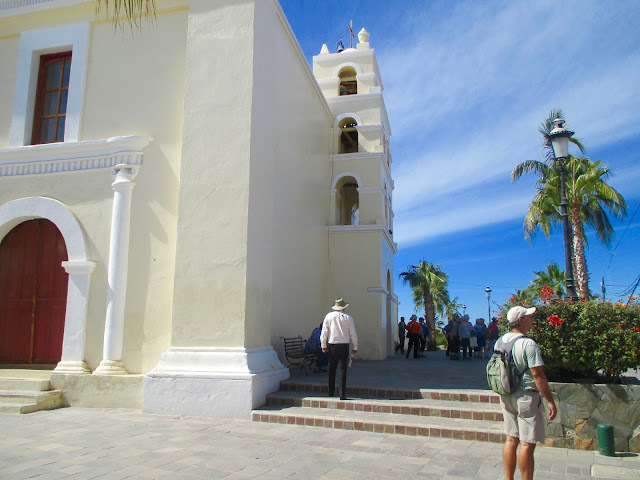 Todos Santos complaint #1: GRINGOS. Gringos with fanny packs covered every inch of pretty Todos Santos. 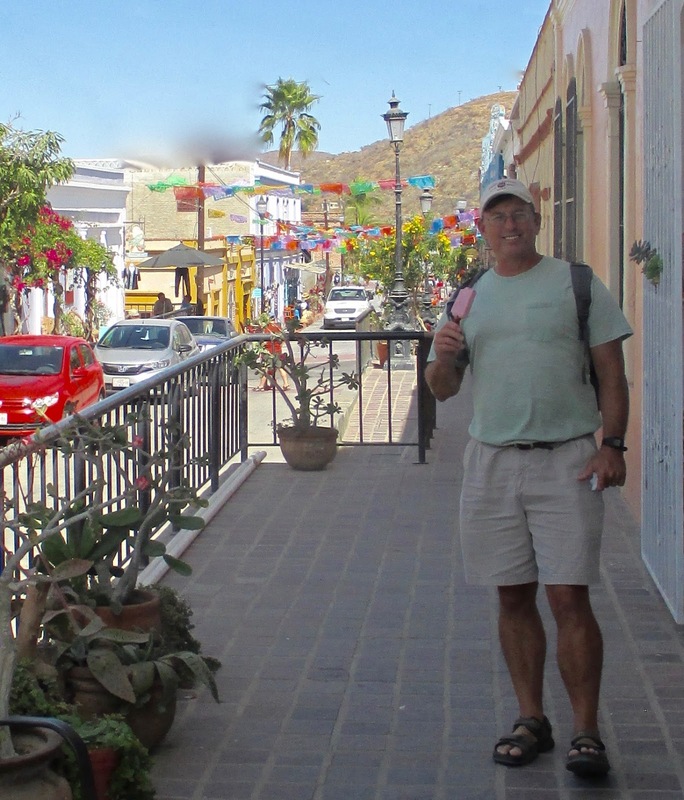 pictures all over town (hey, at least I'm not wearing a fanny pack!). It just bugs me seeing gringos taking over the most beautiful real estate in Mexico. 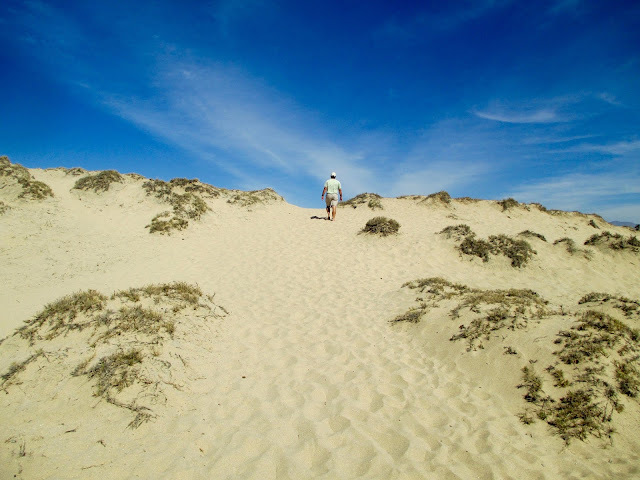 Todos Santos complaint #2: Where's the beach? 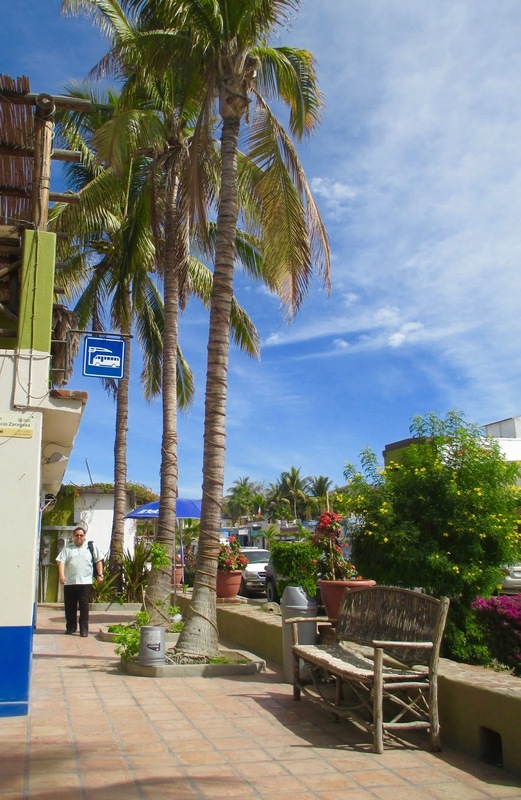 We were led to believe that this is a beach town -- a surf town -- but Todos Santos is a good couple of miles off the coast and away from the beach. 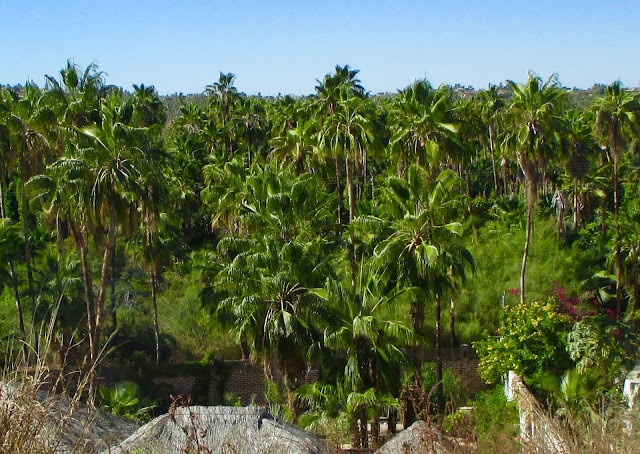 Clearly the original village was built at the site of the inland oasis for the water supply. After exploring the town, we followed the bumpy dirt road that led a couple of miles down to the beach. No surfers. No homes. 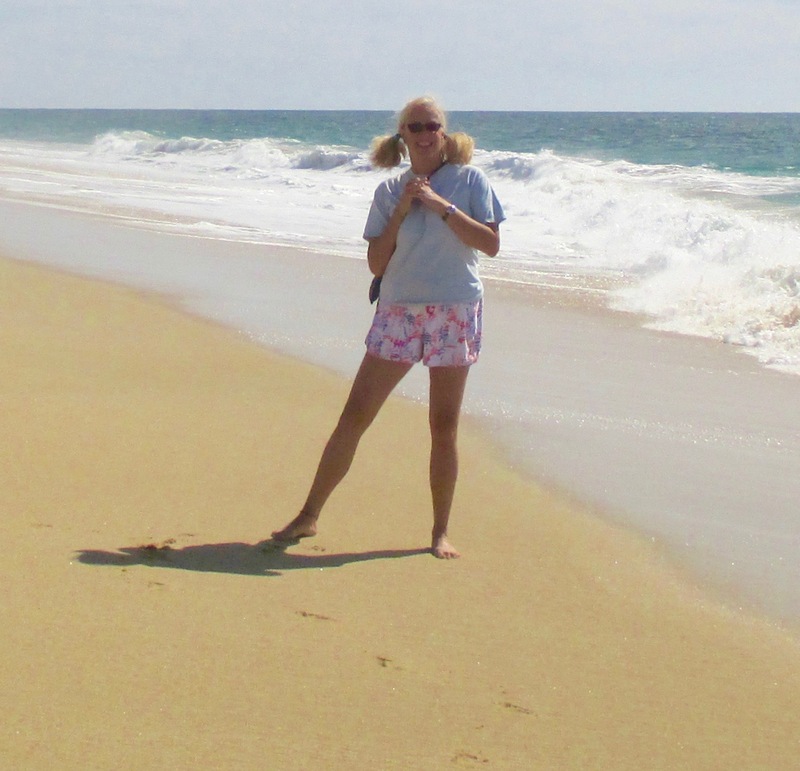 OK, OK, the beach wasn't completely empty. seagulls sunning themselves on the shore. beauty of this country -- every day, another beautiful surprise.